Paracas National Reserve is a popular travel destination on the Southern Coast of Peru. It's also a popular beach resort area that attracts both domestic and international visitors. The town itself is not that large, but it has all of the resources a visitor might need. 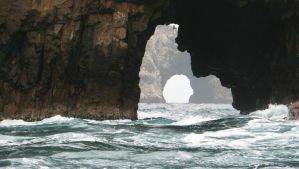 Most visitors to the area take tours to Ballestas Islands and Paracas National Reserve. There are some decent accommodation options in the area but the prices can be quite expensive. Some places may fill up during the peak season, and some places shut down during the low season, so research your options before you arrive in town. There are a few good hostels in the area that offer a social setting for a reasonable price. How much do hostels in Peru cost? 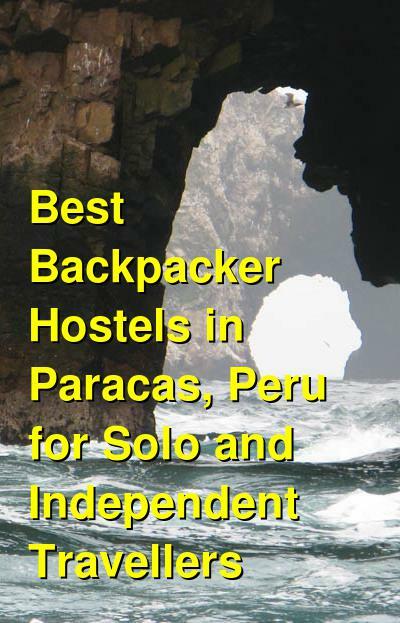 Kokopelli Backpackers Hostel is one of the most popular hostels in Paracas, Peru. It offers a bit of luxury at backpacker prices. There are a variety of room types to choose from including private rooms or private "pods" in dorms. Regardless of your budget or travel style, you'll find something that meets your needs here. The private rooms are either twins or doubles and you can choose from shared or private bathrooms. The dorms sleep either six, eight, or fourteen people. The hostel has a wide variety of amenities that guests can enjoy. There's a pool, kayaks, and stand up paddle boards available. They also offer tours to the Ballestas Islands and the National Reserve. Prices are good. If you want to take advantage of the excellent kitesurfing in the area, there are lessons and advice available. Lessons are done through Peru Kite, which is one of the area's best kitesurfing schools. This is a fun and social place to stay with a lot of activities available for guests. There's a pool table, a Foosball table, a television room, and several good common areas. Breakfast is also included in the price of the room. Whatever your purpose for visiting Paracas, you're sure to enjoy your time at this hostel. Paracas Backpackers House is another good option for budget travelers to Paracas. The hostel is relatively large and it has a social environment where it's easy to meet other guests. There are eleven private rooms with attached private bathrooms and twelve private rooms with shared bathrooms. There is also one shared dorm that has nine beds and two shared dorms with either four or eight beds. This is a good option for budget travelers. They have reasonable prices that are not dependent on you booking a tour through the hostel. Unlike some accommodation in the area, you do not have to book a tour through the hostel to receive a reasonable rate. The hostel has all of the standard amenities available for guests including a nice shared kitchen where you can prepare your own meals. There's also laundry facilities available and plenty of space to hang out. There are three common areas where guests can relax. Hammocks are available as are beach chairs. Hostel Yakumama is a family run hostel that is a nice place for budget travelers in Paracas. It is a relaxing and comfortable place to stay with a garden area, a shared kitchen, and a terrace that looks out on the ocean. The hostel staff can help you with all kinds of information including organized tours to Ballestas Island and National Park. This is a safe and secure place to stay that is located just one block from the Principal Avenue Libertadores. It's forty meters from the ocean and is conveniently close to many different shops and restaurants. It's also just in front of the Paracas Police station. The hostel has comfortable rooms where you can be assured a good night's sleep. There are double, three bed, and four bed private rooms as well as five bed dorms. The staff here is great and will work with you to make sure your stay is exactly what you're hoping for.